More than half a millennium after most Jews were expelled from the country in 1492, Spain is officially recognizing their language, Ladino, as a type of Spanish. In Madrid last month, the Royal Spanish Academy (RAE—Real Academia Española) announced the establishment of a new Ladino academy in Israel. “One of its goals will be to save Ladino from fading away,” says Professor Shmuel Rafael, director of Bar-Ilan University’s Salti Center for Ladino Studies. Ladino, also known as Judeo-Spanish or Giudeo-Spagnola, “was the main tool for creating, disseminating, and preserving the spoken and written culture of the Spanish Jews,” Rafael says. He says Spain’s decision derives from an understanding that Ladino is a Spanish language in the same way as the Spanish dialects spoken in Argentina, Mexico, Venezuela, the Philippines, and elsewhere. “Remember, there’s no single form of Spanish throughout the world,” Rafael says. language from the many places where it has thrived in different periods. 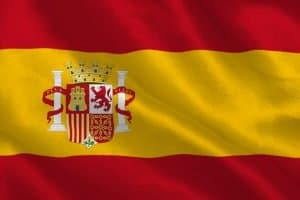 Also, with Ladino becoming an official language, Spain will be able to add Ladino words and phrases to its popular online historical dictionary, for the benefit of the world’s 500 million Spanish speakers. UNESCO currently classifies Ladino as an endangered language, and the number of speakers is believed to be just a few thousand. Studies indicate that many people who claim to be Ladino speakers do not master the language and their vocabulary is often limited. In Israel, Ladino is studied and taught at Bar-Ilan University, Ben-Gurion University, and the Hebrew University. The new academy will aim to act as “a crossroads for a vast amount of scholarship,” Rafael says—scholarship that will spread well beyond the institution. The academy will operate in Israel as an arm of the Israeli National Authority for Ladino and Its Culture, which was established in 1996. “This is a very important moment, a historic moment,” Professor Tamar Alexander, chairwoman of the Ladino authority and a scholar of Spanish-Jewish culture, told the Madrid conference. ¡Qué gran noticia! ¡Enhorabuena para todos los hispanohablantes del mundo entero y la comunidad judia en particular!